Raised in Pennsylvania, Thandi views the world of her mother's childhood in Johannesburg as both impossibly distant and ever present. She is an outsider wherever she goes, caught between being black and white, American and not. She tries to connect these dislocated pieces of her life, and as her mother succumbs to cancer, Thandi searches for an anchor—someone, or something, to love. 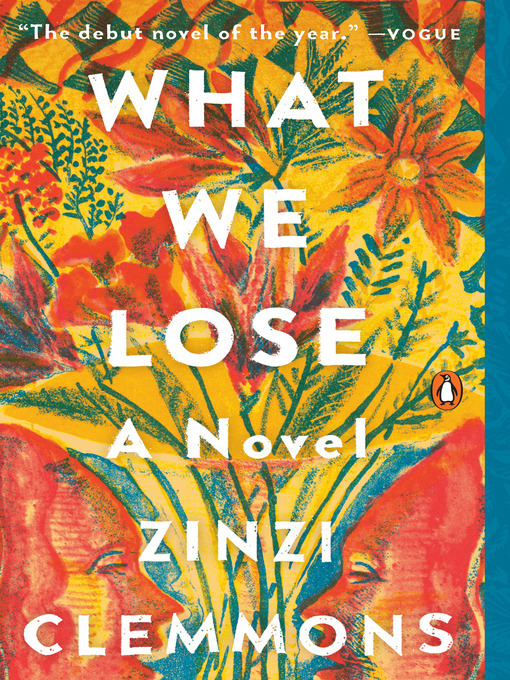 In arresting and unsettling prose, we watch Thandi's life unfold, from losing her mother and learning to live without the person who has most profoundly shaped her existence, to her own encounters with romance and unexpected motherhood. Through exquisite and emotional vignettes, Clemmons creates a stunning portrayal of what it means to choose to live, after loss. An elegiac distillation, at once intellectual and visceral, of a young woman's understanding of absence and identity that spans continents and decades, What We Lose heralds the arrival of a virtuosic new voice in fiction.